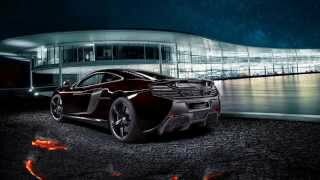 McLaren 650S Coupe MSO Concept 2014 is the awesome model brought by McLaren. The striking MSO 650S has stealth-like, menacing appearance with various upgrades and extreme bodywork. It is the showcase of the MSO designed and engineered upgrades available for the McLaren 650S Coupe and 650S Spider. 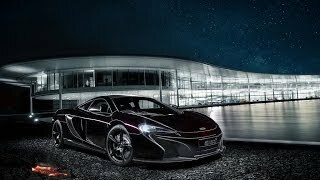 Let us have a close look at the reviews of the bloody beast McLaren 650S Coupe MSO Concept 2014 and get to know more about the elegant features it holds. The interior of McLaren 650S Coupe MSO Concept 2014 is as awesome as its appearance. In the interior one-off design showcase is fitted with the fixed-back carbon fibre racing seats, based on the lightweight design found in the McLaren P1, finished in carbon black leather. The seat positions of the model are simply great and provide superb levels of upper and lower body support. Throughout the cabin, it is well decorated with the Satin carbon fibre which is further enhanced by the switchgear and bezels that are finished in contrasting gloss black. In all, the interior of the model will make a pride feeling to sit in and had a riding experience in the superior car. The Exterior of the McLaren 650S Coupe MSO Concept 2014 has a menacing appearance with great engineered efforts. 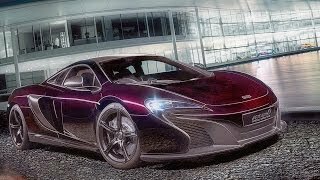 The MSO 650S Coupe Concept is finished in ‘Agrigan Black’, which is metallic black paint specially developed in-house with a deep ruby red metallic flake. This paint effect gives the exterior bodywork a dramatic color change in direct sunlight, contrasting with the extensive use of satin-finished carbon fibre highlights. There is a lightweight carbon fibre accent over the front splitter and air intakes. The branded side blades are more aggressive, full length, interpretation of the door blades seen on the 650S Coupe and Spyder models. At the rear, there is the GT3-inspired rear bumper which features a carbon fibre centre section, and the lightweight material carries through to the carbon fibre airbrake and unique MSO rear diffuser. In addition the engine is enhanced with satin black gesture and satin finish to all carbon fibre. 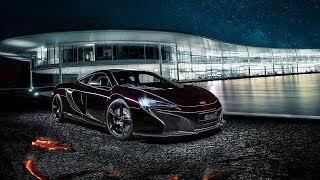 McLaren 650S Coupe MSO Concept 2014 has been powered with 3.8L V8 Twin turbo which offers 641 horsepower and the 678 nm of torque. It has a 7-speed Automatic Transmission. It can also knock 0-60mph of sprint in just 2.9 seconds. In addition, it has a set of special satin black finished lightweight ‘650S’ alloy wheels, shod with Pirelli P Zero Corsa tyres.